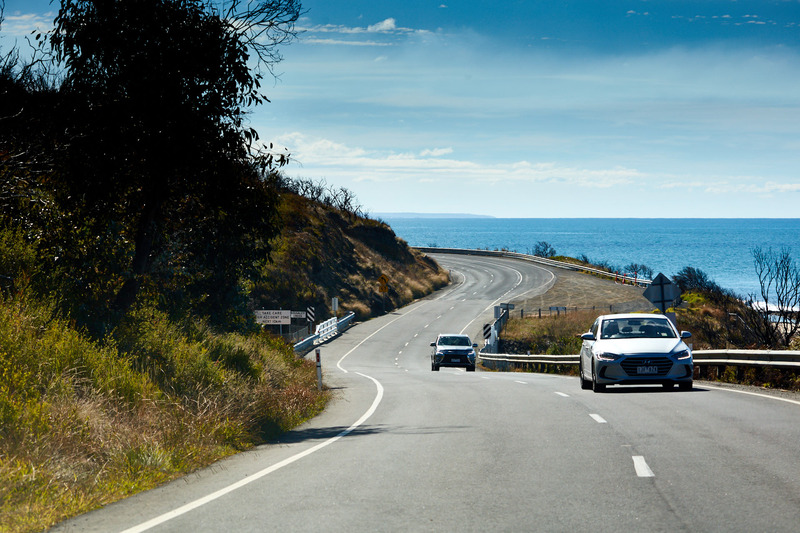 The Great Ocean Road is blessed with dozens of gorgeous towns along its ridiculously stunning length – Lorne, Apollo Bay, Torquay, Port Campbell, to name just a few. The real fun in exploring the coast in search of joyous gems lies in finding the tiny hamlets along the Otways end between the towns: places like Kennett River, Wye River, Wongarra and Separation Creek, and taking a little time to just slow down. Discovering a hamlet is not about finding dozens of things to do, or being overwhelmed with options outlined in the colourful brochures stacked at takeaway shops. Hamlets are about finding a place to switch off and simplify. Wye River, for example, is blessed with an extraordinary bit of coast where the river ends its journey from the Otways. Just over the river lies another tiny hamlet, Separation Creek. It’s not uncommon to find a pair of hamlets quite close like this, and being walking distance between the two is one of the joys of this area. Stay in ‘Sep’ (as it’s known by regulars and locals) and take your morning constitutional to ‘Wye’. A walk is an essential part of slowing down, and a short walk along the beach from Separation Creek to Wye River is a perfect start. Walk right off the beach and into the Wye River General Store. It’s everything the slowing-down, mindful person needs for travel essentials and a great breakfast. The menu is simple, and the food well executed. For the city-sider on the slow-down, you’ll find the kind of food you’re familiar ordering in town. If you’ve accidentally brought children on your mindfulness weekend, they’ll enjoy this place too. It has an epic playground next door, and there’s plenty on the menu to interest them. If you’ve forgotten your toothbrush, your sourdough or your sauerkraut, you’ll be sorted too. 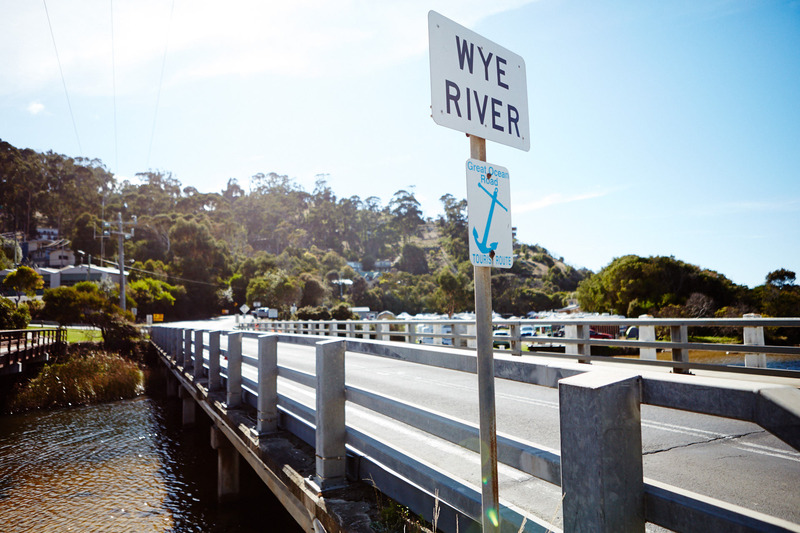 Wye is well situated between Lorne and Apollo Bay, but that’s not the point. To make use of your time in a tiny place, you really need to embrace the smallness. It’s like the Tiny House movement for an entire town. Just the essentials, and a really comfortable bed with kick-arse food and wine. That’s the point, really. Find yourself some great accommodation (like the super-chilled The Surf Shack), a couple of above-average bottles of wine, and settle in for some slow days of simplicity. The easy access via short car-trip to, say, La Bimba in Apollo Bay, or the exhilaration of the LiveWire Adventure Park in Lorne, is a nice reassurance. But really, you’re staying in a hamlet to slow down and not drive anywhere. Most B&Bs have a reasonable selection of weekend reads, so grab a book, curl up in a corner and take the opportunity to switch off and relax a bit. Wye has two great food options. The afore-mentioned General Store has you sorted for breakfast and lunch, and the Wye Pub has lunch and dinner covered. You can always self-cater; again, the general store stocks everything you need to cook up a storm from delicious local produce.